Writer, dramatist, children’s writer and journalist. Her books have been published in English, German and Dutch. She was born in Prague on 8 March 1972 and is the daughter of the dissident Eda Kriseová and the documentarist Josef Platz. [Aaron’s Leap] must count among the best written [books] by contemporary Czech authors . . . impressive not only for its story, but also for the scope of its reflections. She studied in the USA and Great Britain and regularly travels abroad. 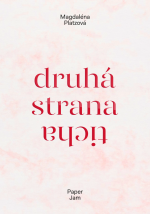 She writes for the weekly magazine Respekt and has also written for Literární noviny (Literary News) and the revue Souvislosti (Connections). She made her literary debut in 2003 with the short-story collection Sůl, ovce a kamení (Salt, Sheep and Stone, One Woman Press). The four connected stories are set in Dalmatia and describe both it and its inhabitants. However, it probably tells us more about ourselves – about our desire to live by the sea, far away from the worries in Prague, though when this is fulfilled, its shallowness is revealed. 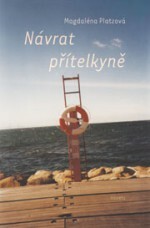 The novella Návrat přítelkyně (The Return of a Friend, One Woman Press, 2004) shares many of the first book’s premises – here too there is a magical foreign land, but which is only a means of escape. The main character shares autobiographical traits – her name is Magdalena, she is nineteen, and with the immaturity inherent in all nineteen-year-olds, she is unable to hold together a great friendship. At first she worships her friend Usa, then she rejects her and finally – as the title suggests – returns to her. Again the linguistically polished story uses images from landscapes, and here the background consists of India, Switzerland and Paris, which are often described with rather bombastic expressions. “The kitsch here, however, is not pointless. The landscape is the main setting for the main character’s inner life – and a certain amount of pathos is part of adolescence,” wrote Zuzana Patočková in a review for iLiteratuře.cz. 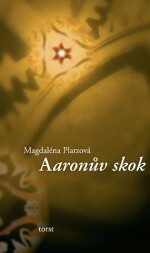 Platzová published the novel Aaronův skok (Aaron’s Leap, Torst) in 2006. Here she imagined the tragic fate of the Austrian-Jewish painter Friedl Dicker-Brandeis, who was renamed Berta Altmann for the purposes of the book. “Measured by the usual parameters, Berta Altmann, whose name does not figure in any overviews of art-history, is known only to a few experts on the Terezin ghetto. She was not a great artist. However, on a personal level, she was extraordinary,” the book states. In addition to the story of Berta, there are also descriptions of the lives of two other women – Berta’s friend Kristina, to whom Berta entrusted her diaries before going on a transport to the concentration camp, and her granddaughter Milena. 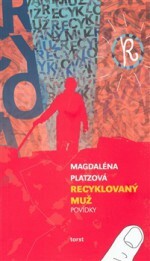 Two years later another of Platzová’s collections of short stories was published called Recyklovaný muž (The Recycled Man, Torst, 2008). Having previously had three female main characters, on this occasion the author looked at how males perceive the world. 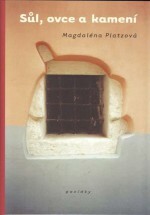 “Platzová tries to fill out the form of the stories in such a way that nothing juts out of them or, on the contrary, that something is in short supply, and she succeeds in doing so, in implementing this measured approach, to the extent that the unique purism of form seems to abridge the content,” wrote Petr Vaněk in a review. This reservation that critics have towards Platzová surfaces regularly – that the precise form is often to the detriment of the content. Magdaléna Platzová’s most recent novel for adults is Anarchista (The Attempt, Torst, 2013), with the subtitle Notes for a Novel. The main character is the assassin Andrej B, inspired by Alexander Berkman, a young anarchist of Russian origin who shot a rich American businessman and patron of the arts in 1892. The second main character is a student called Jan, who has gone looking for Andrej in New York – whilst the older of the two is a more traditional anarchist, who is willing to use force to achieve a better world, the younger one is more sympathetic towards the new-age movements including their ecological concerns. “I’m terrified by the continued destruction of the Earth. Believe me that every time I throw out the rubbish it weighs on my conscience. We’re living on borrowed time and as one of the characters in my book says: Each one of us has blood on our hands. And that’s a simple fact. And I admire people who are willing to radically reduce their negative impact on the environment, and I believe that even small decisions can be of great value,” explained the author. 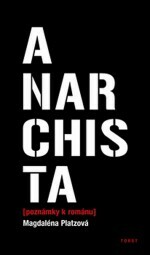 However, Anarchista is also a book about women, freedom and respect. 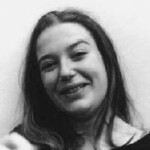 Apart from belles-lettres, Platzová also writes plays and was assistant to Petr Lébl at the end of the 1990s at the Theatre on the Balustrade. In 1999 she got to the final of the Alfréd Radok Award with her play Na útěku (On the Run), and then a year later with the play Sayang. She has written one book for children, Toník a jeskyně snů (Tonik and the Cave of Dreams), which is set in the Gardens of Versailles and combines dream, fantasy and reality.